The Theatre Space is located on the first floor and captures the full majesty of this award winning listed building. 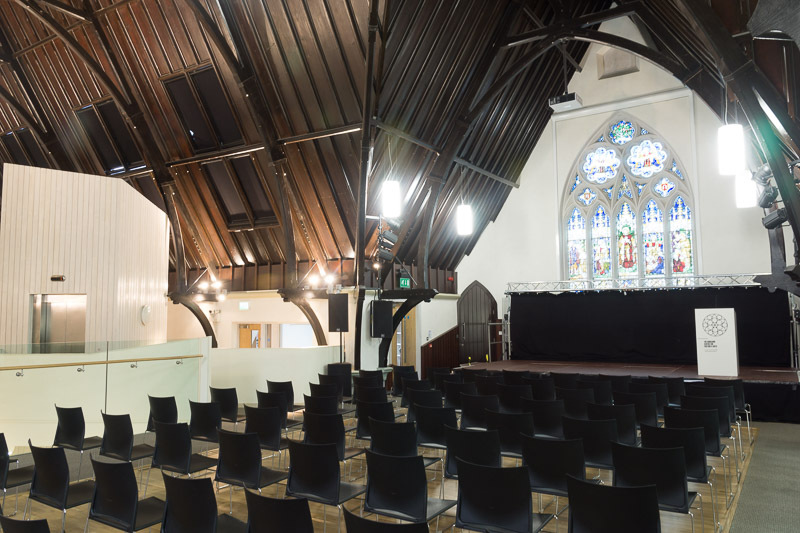 This stunning space can cater for up to 190 people and features include three original stain glass windows, which illuminate one of only two pine-clad beam ceilings in Europe, adding to the unique and inspiring atmosphere. 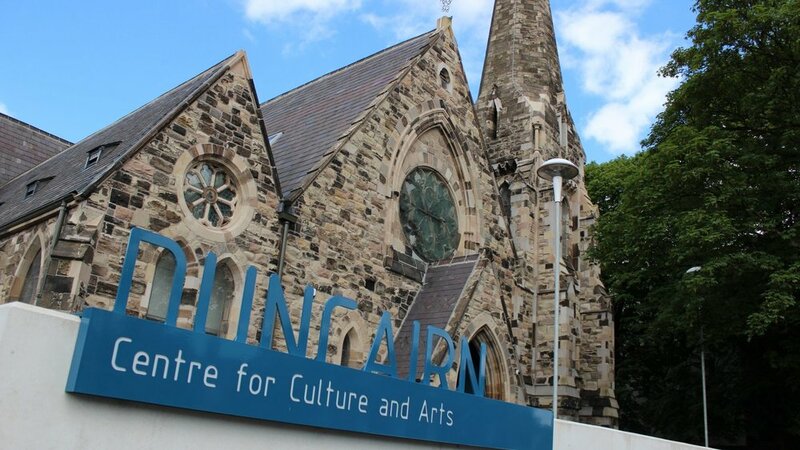 Equipped with a projector and screen, free WIFI and a high quality sound system, The Theatre Space provides the perfectflexible space for conferences, lectures, filming, workshops and much more. There is full disabled access. 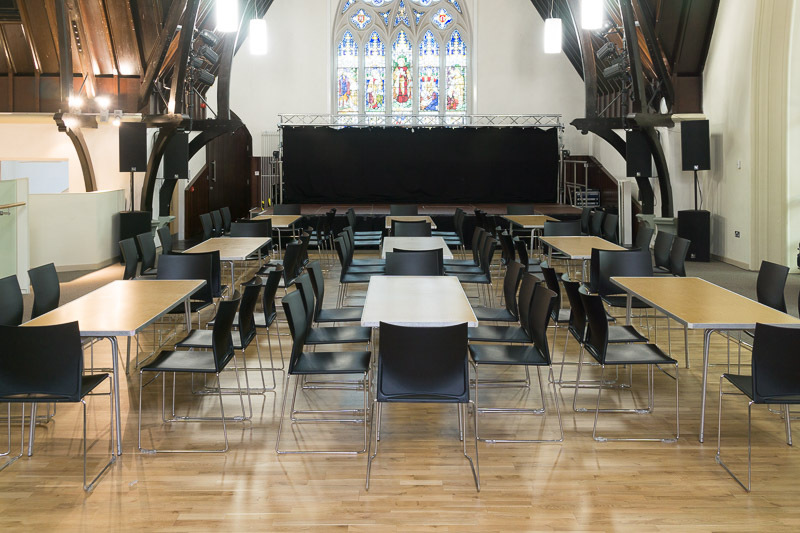 The Theatre Space can cater for up to 190 guests and can accommodate a number of different set-up styles to suit your event. For further information, please use the form below or give us a call. Thank you! Someone will be in touch with you soon to discuss your requirements.